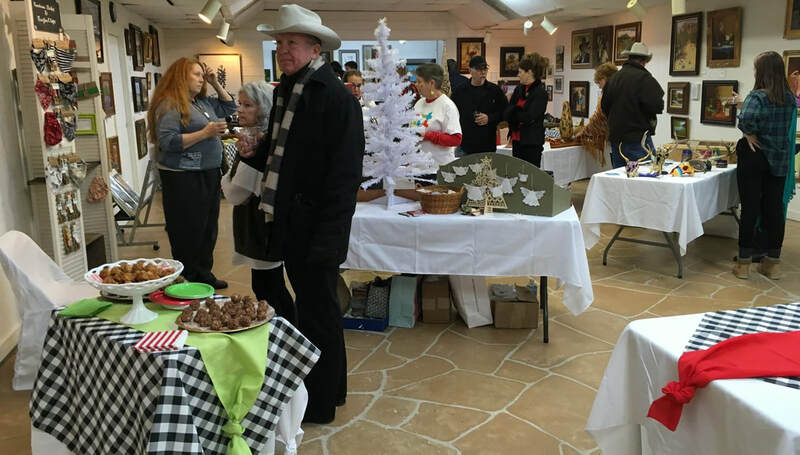 The Llano Art Guild is looking for artists interested in selling their artwork at our annual Artisan Christmas Bazaar. The Bazaar will take place November 29th from 5:30 to 8:30. Artwork will be allowed to stay set up and for sale until December 28th when it will be taken down. Artists will be required to provide their own table, cloth and items to display their wares. We have found most people are looking for small gift items. Commission on sales is 30% for non members, except November 29th when there will be only a 20% commission. Set up will be Sunday, November 25th. IT IS THE TIME TO START MAKING YOUR PIECES FOR THIS SALE! ​Please contact Paula Haynes at haynes.paula@yahoo.com if you are interested in participating.